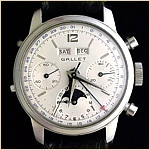 Gallet is universally recognized as the “Maître du Chronographe” or Master of the Chronograph. For over a century, the world’s oldest watch and clock manufacturer has been the leading innovator of high quality timepieces, created exclusively for professional use. Supplying more chronograph wristwatches and hand-held timers to clients in the military, scientific, athletic, racing, and industrial fields than any other Swiss watchmaking house, Gallet watches are prized by collectors for their exceptional workmanship, extreme durability, and highly advanced time recording functions. 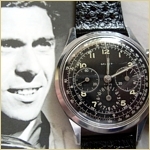 With the assistance of the Gallet Watch Company, as well as a number of collectors, dealers, and historians, we have assembled this comprehensive resource of information about the chronographs and timers, manufactured by the world’s foremost and oldest Pioneer in Professional Timekeeping. A lot has changed since Humbertus Gallet was building tower clocks. 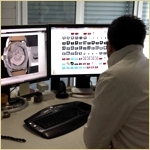 Visit the modern Gallet workshops. 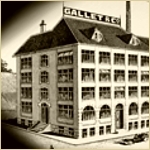 During moments of grand achievements and groundbreaking events, "Gallet was There". View some of the timepieces.